Riding Lessons: Monday-Sunday, 8 a.m.-8 p.m. Enjoy owning a horse without having to perform the hard, physical work on a regular basis. 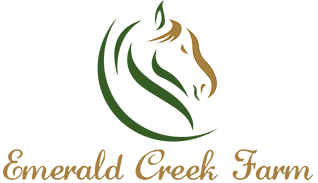 Emerald Creek Farm provides a safe, laid-back atmosphere for horse boarding to give you peace of mind about your horse's well-being. We call ourselves a barn family and take care of every horse like it was our own. Our boarding services include all day turn out with 12x12 matted box stalls that are cleaned daily. Horses have access to unlimited hay and water. 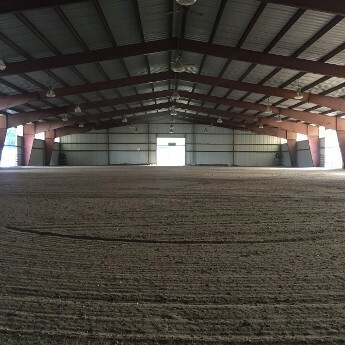 Our 110' by 200' lighted indoor arena is one of the largest arenas in the Hudson Valley, so there is never a need to worry about space or the weather when you ride and is suitable for all disciplines. If the arena isn't for you or your horse, we have many miles of beautiful trails on property. We include a monthly trail riding trip to local state parks for all boarders. At Emerald Creek, there is something for everyone!